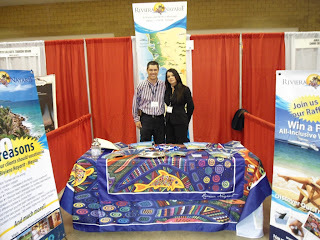 In 2013, Riviera Nayarit will be introduced during the 19th edition of MLT University, which will take place in Minnesota on September 26 to 30, while presenting a shared stand with Puerto Vallarta under the joint efforts “Vallarta-Nayarit. Live it to Believe it!” leaded by Mexico’s Tourism Board. The Convention and Visitors Bureau (CVB) of Riviera Nayarit will be among the exhibitors providing an educational experience through an assigned area at the Trade Show that will be presented as a joint effort with Puerto Vallarta. This event has been designed by the wholesaler to increase the sales of its commercial partners. MLT Vacations has over 40 years of experience in the travel industry and offers multiple packages in partnership with brands such as Delta Vacations, United Airlines Vacations, Worry Free Vacations and Aeroméxico Vacations, among others. With over 600 employees, MLT Vacations focuses on providing the perfect vacation at the right price.